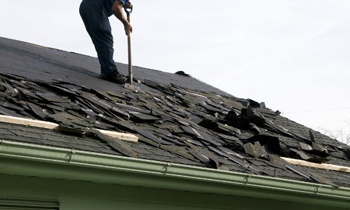 Roof replacement in Oklahoma City, OK is performed for a number of reasons, including everything from structural compromises to the original roofing system to homeowners simply wanting a new look and feel for their property. What all these cases share, however, is the need for experienced, highly skilled, and highly qualified Oklahoma City roofing contractors to perform them safely, effectively, and efficiently. Whether you’re planning a roof replacement in Oklahoma City, OK for a portion of the surface which has been damaged or worn down over time or a full removal and replacement roof installation in Oklahoma City, OK you can count on the expertise and skill of your local Oklahoma City roofing contractors here at Next Level Exteriors to get the job done right. To learn more about roof replacements in Oklahoma City, OK and to schedule a free consultation and estimate with the local Oklahoma City roof replacement contractors here at Next Level Exteriors we invite you to call our friendly and knowledgeable representatives at (405) 241-4887. Our team is available right now to provide you with the expertise, experience, and skill that your Oklahoma City roof replacement project demands to last as long as possible with the highest quality possible.